During my trip to Japan, I had a few goals in mind. 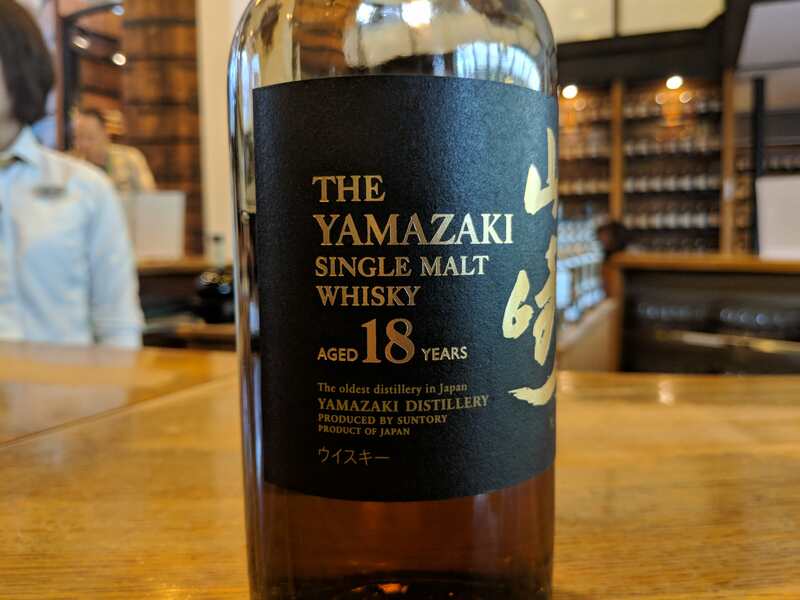 Japanese Baseball, sushi in the Fish Market, and tasting the Yamazaki 18. Of course, anyone who knows anything about Japanese whisky knows just how hard it is to find a dram of this stuff. Which is why I went directly to the source at Yamazaki Distillery in the hopes of tracking it down. And track it down I did. I love Japanese whisky branding. It’s reserved and simple, almost antithetical to the ostentatious labels you see on many bourbons. The Yamazaki 18 might be the highest expression of this with its lovely black and gold and serif font. If you’re going to spend obscene amounts on whisky, it may as well look like it. In the glass, the Yamazaki pours a deep reddish-amber, thick and oily as only a mature whisky gets. It has an intense, fruity aroma with notes of raisin, citrus, coffee and a hint of the very unique wood smell that seems exclusive to Japanese whisky. The nose definitely sets the stage for what’s about to come. On the tongue, Yamazaki 18 sits oily and heavy. It’s got a rich, chewy mouthfeel that is absolutely sublime. It’s a sherried whisky, but it was pretty subtle on the nose. In the mouth, it’s more obvious and compliments the woodiness, dark chocolate and orange zest well. It’s not exactly a flavour bomb, but the Yamazaki is certainly more potent than a lot of its highly-subtle Japanese kin. Its finish is long, sweet and extremely pleasant. Yeah, the Yamazaki 18 is damn good. You’ll probably never see it, let alone be able to afford it, but if you get the chance at a tasting bar (or if you happen to be touring Yamazaki distillery) make sure you try a dram. It’s undoubtedly worth a slow sip or two.